The 3D Design Studio explores three-dimensional construction arts. Concepts are taken from sketch, to drawing, to model, to full execution. Team members use computer-aided drafting programs and conduct trials with materials to understand their properties and applicability to the project. Through demonstrations, innovation and experimentation, they work with a variety of fine art and industrial tools and materials, with special focus on reclaimed materials. AFH's 3D Design studio has gained national attention for fabricating unique bike-racks, large-scale sculptures, architectural details, monument signage, eco-friendly furniture and more - infusing the zest and unpredictability inherent in young people "making things". 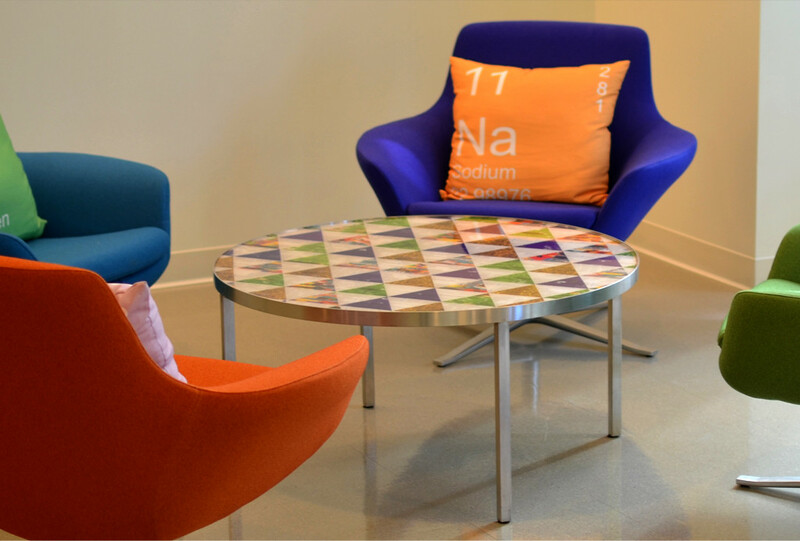 suite of seating and tables for a downtown design firm, our 3D Design Studio designs and produces unique pieces of furniture. We often use our ReVision process to incorporate anything from our client’s past years' annual reports to architectural sketches to historic photographs into a solid resin surface. 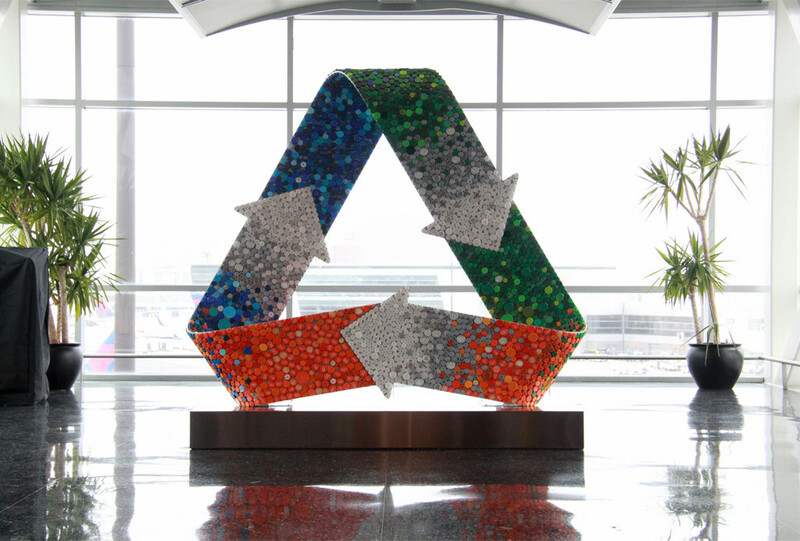 It’s a great way to reflect your commitment to community and the environment by elevating materials headed for the landfill. 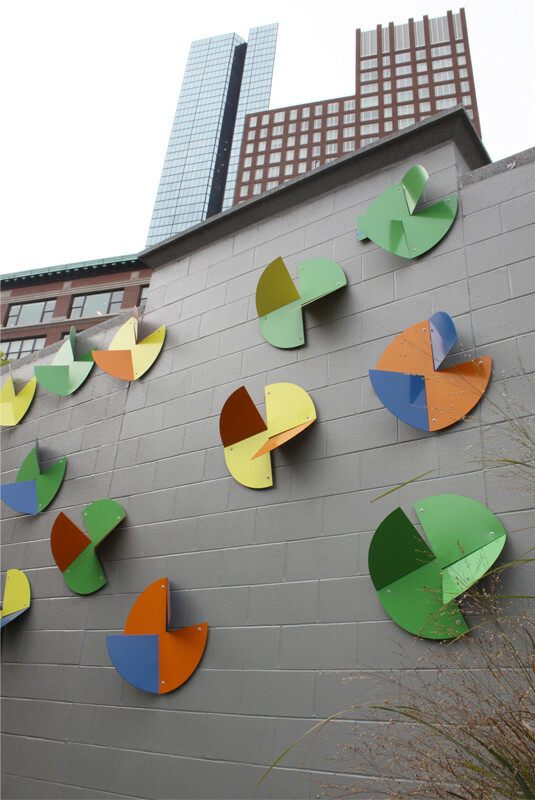 AFH has extensive experience in creating site-specific public artworks. 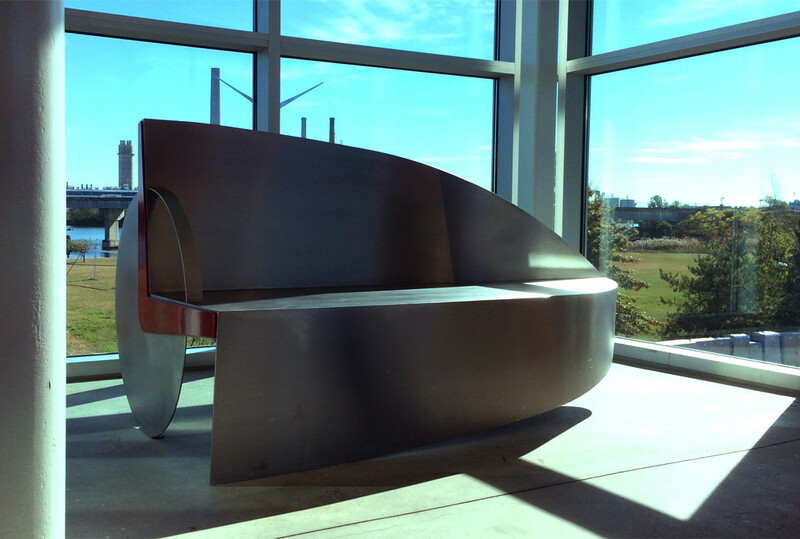 We have witnessed how public art stimulates dialogue in the community and inspires positive thinking and action. AFH sees each public work as an opportunity for our youth artists to learn about the site and its community; and for the work’s audience to learn about the power and talent of urban teens. 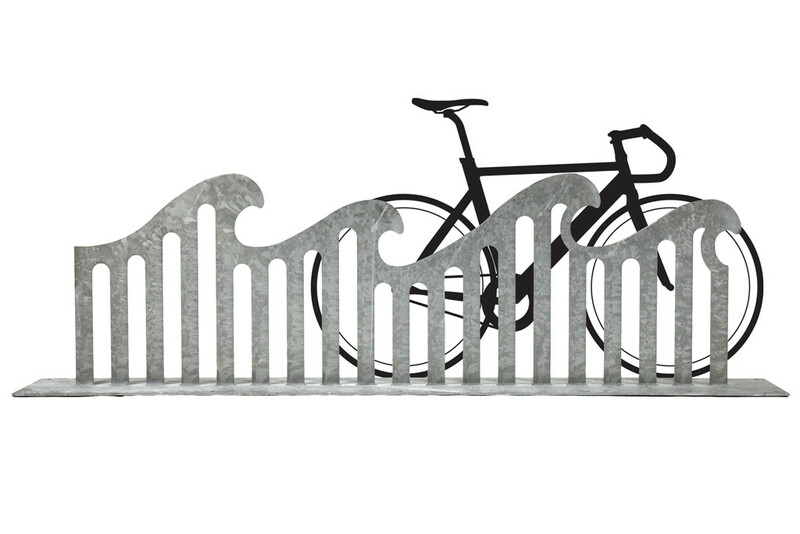 We are excited about our sculptural bike racks because they not only provide bike parking, but they enliven the streetscape and become sculptural landmarks that support and encourage bicycle use. 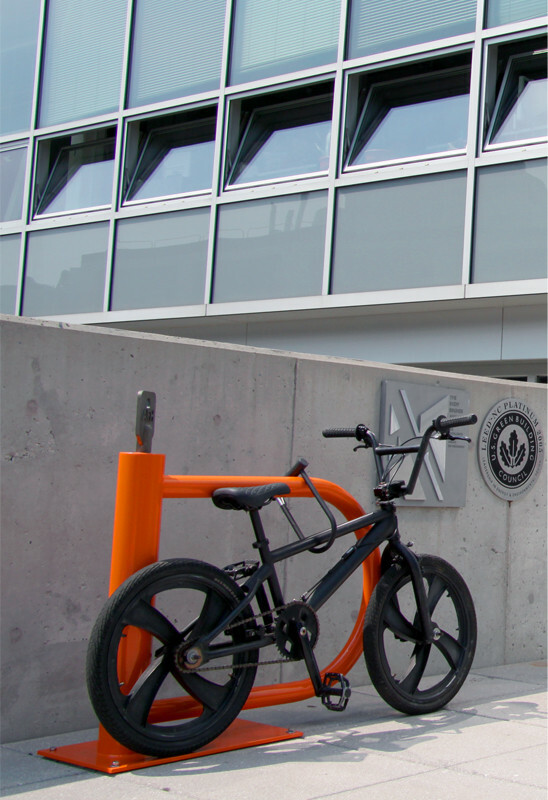 The racks encourage people to make their commute via bicycle: thereby saving fuel, alleviating traffic and helping people maintain a healthy lifestyle.